Do you want to save energy in your household and therefore want to replace your conventional lamps with energy-efficient LED lamps? 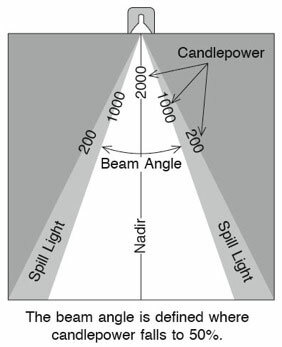 A not very unimportant information about the purchase of an LED lamp gives the so-called”beam angle” . 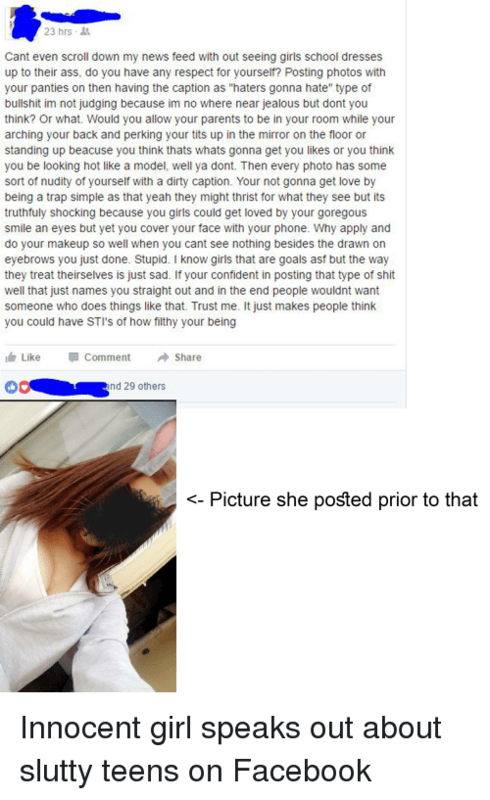 But what exactly does it say? And do LED lamps always have the same beam angle? We go closer to the cause and explain what the radiation angle really has. When buying a light bulb, the question of how bright the surface to be illuminated should be an important aspect. 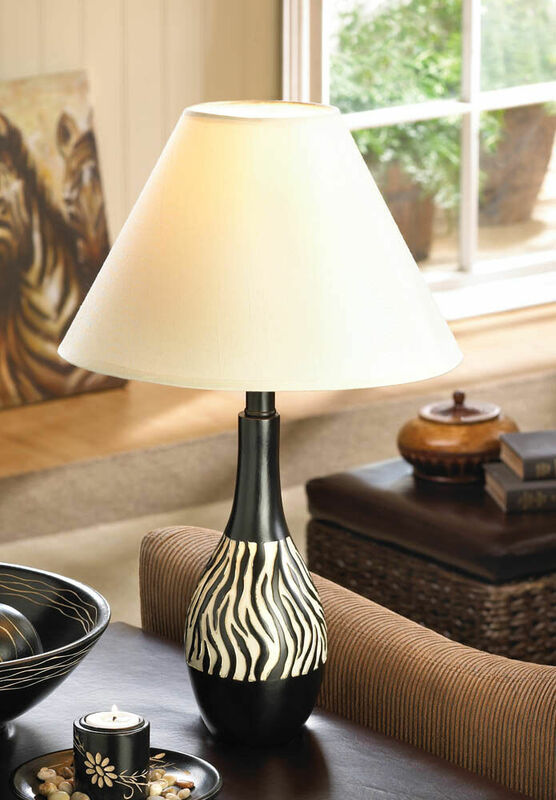 The angle of radiation provides information on the angle at which the light is radiated forward through a lamp. In this case, the distance between the LED lamp and the illuminating object plays an important role, since the radiation angle should be selected accordingly large or small. 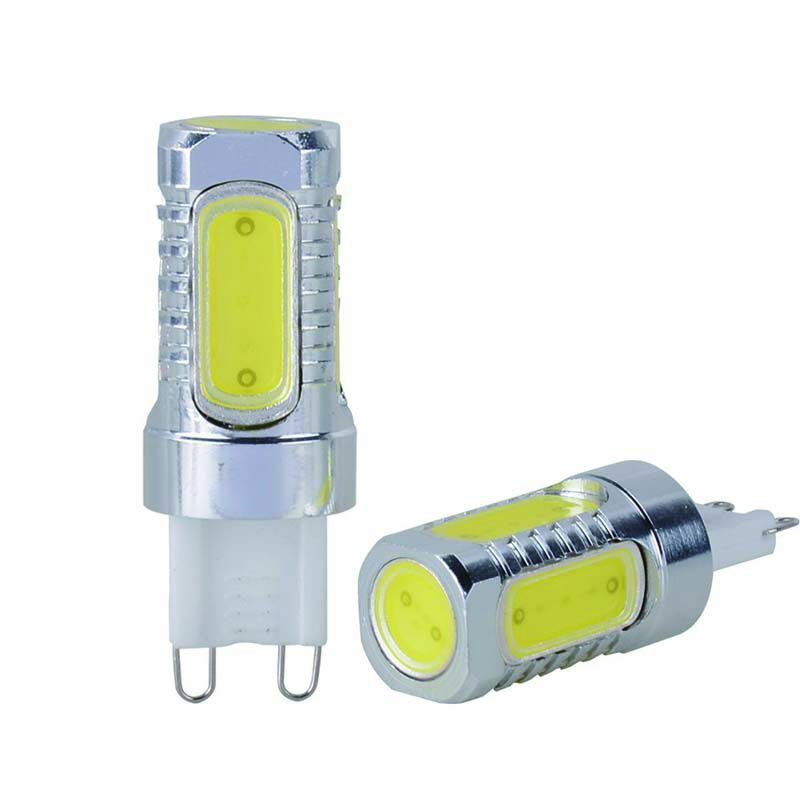 When you buy a LED lamp, you should first ask yourself what you would like to illuminate with this lamp and how big the lighting to be illuminated. 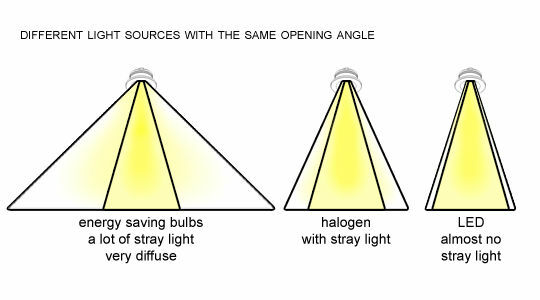 While commercially available halogen lamps have a radiation angle which is limited by a reflector, LED lamps are assigned to a radiation angle by a lens. 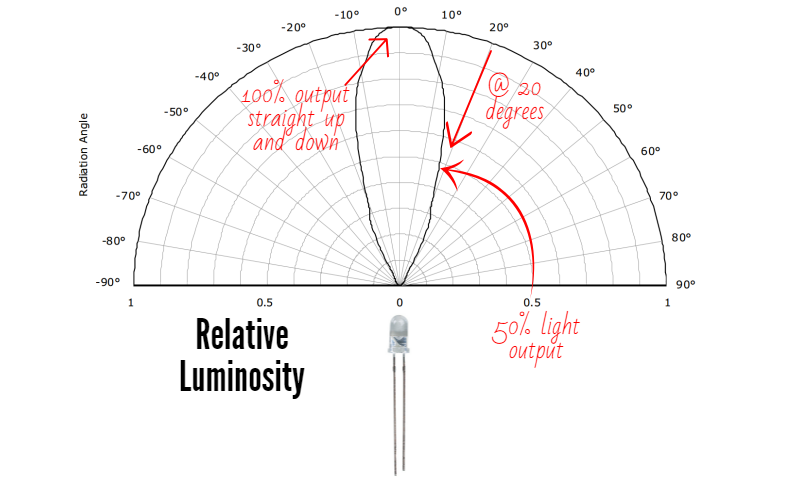 This means that the radiation angle of an LED lamp is deliberately scattered by a lens.Halogen lamps usually have a beam angle of 35 °, whereas the beam angle of LED lamps can vary between 25 ° and more than 120 °. But What Exactly Does A Beam Angle Of 15 °, 60 °, Etc. Say? 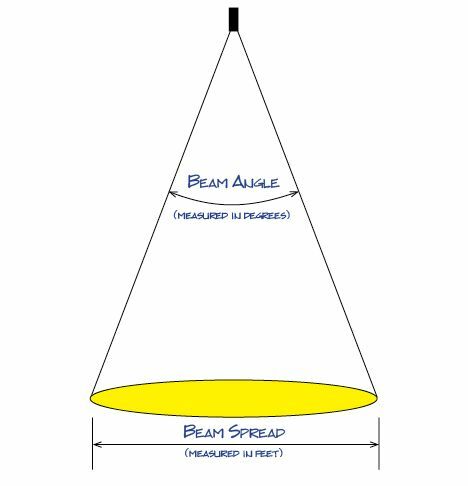 The beam angle affects the diameter of the light cone generated by the LED lamp. 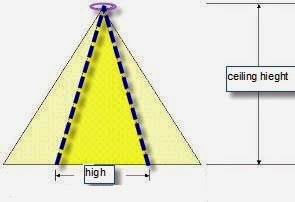 The table below shows the diameter of the light cone relative to the beam angle at a ceiling height of 2.5 meters. 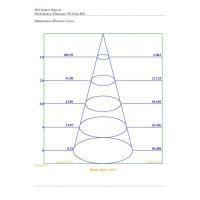 As can be seen from the table, the diameter of the light cone increases as the angle of radiation is larger. If, for example, an area of ​​more than 8 meters is to be illuminated, a radiation angle of approximately 120° should be selected. For an area of ​​5 meters to be illuminated, a beam angle of 90° is recommended. 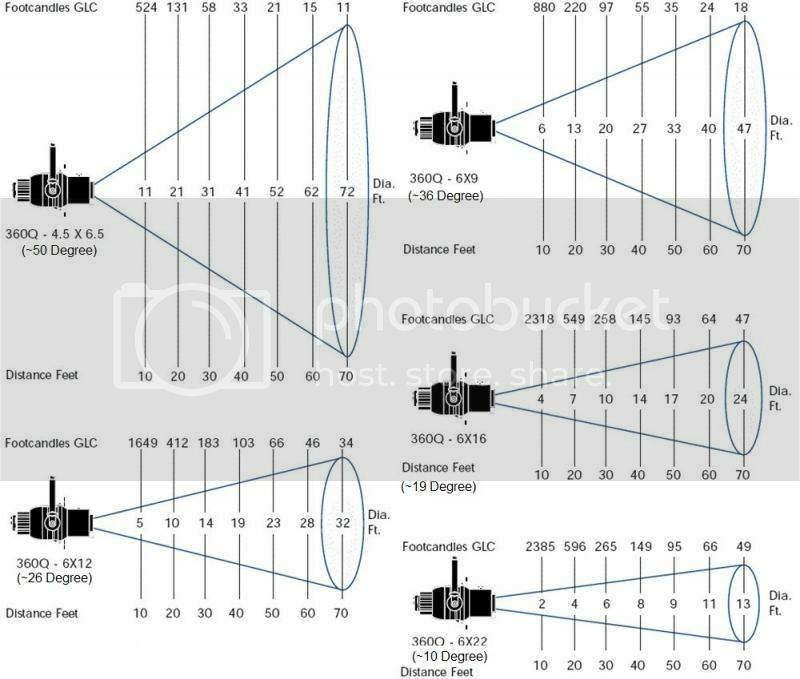 Which Beam Angle Is Suitable For Which Installation Site? 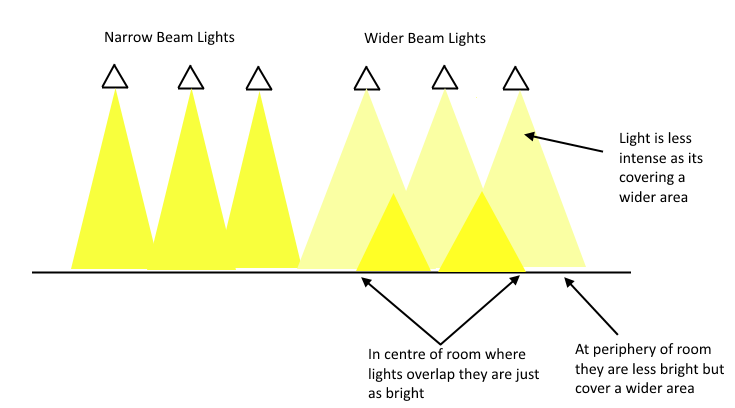 The larger the room, the larger the angle of the LED lamp should be selected.If, on the other hand, a certain object (eg an image) were to be placed in the light, a small radiation angle should be selected. In general, a beam angle of 120° is suitable for the basic lighting of living rooms. If, on the other hand, one wishes to illuminate its path areas, a radiation angle of 90° is recommended. Can The Angle Be Calculated? Yes, there is a mathematical formula to calculate the beam angle of a lamp. In this example, we start from the table above and determine the beam angle with a light cone diameter of 5 meters and a height of 2.5 meters. Why Does The Opening Angle Of Lighting Matter?